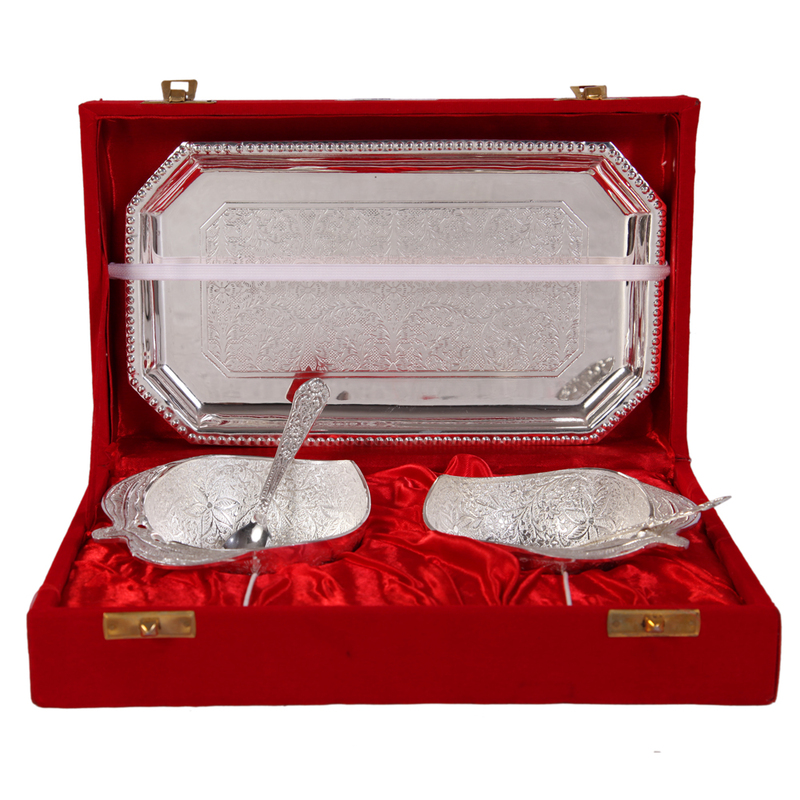 The 2 Mango Shaped Bowl Set with Spoons & Serving Tray in German Silver is visually spectacular enough to make any food item served in Read More..it to look even more appetizing than ever before. The two bowls, carved immaculately in the shape of a mango, along their companion spoons are sure to mesmerize their users, while the designer serving tray offers the opportunity to serve food in an aesthetically pleasing manner. Thus, this set is suited for the most stylish of households. Show Less..